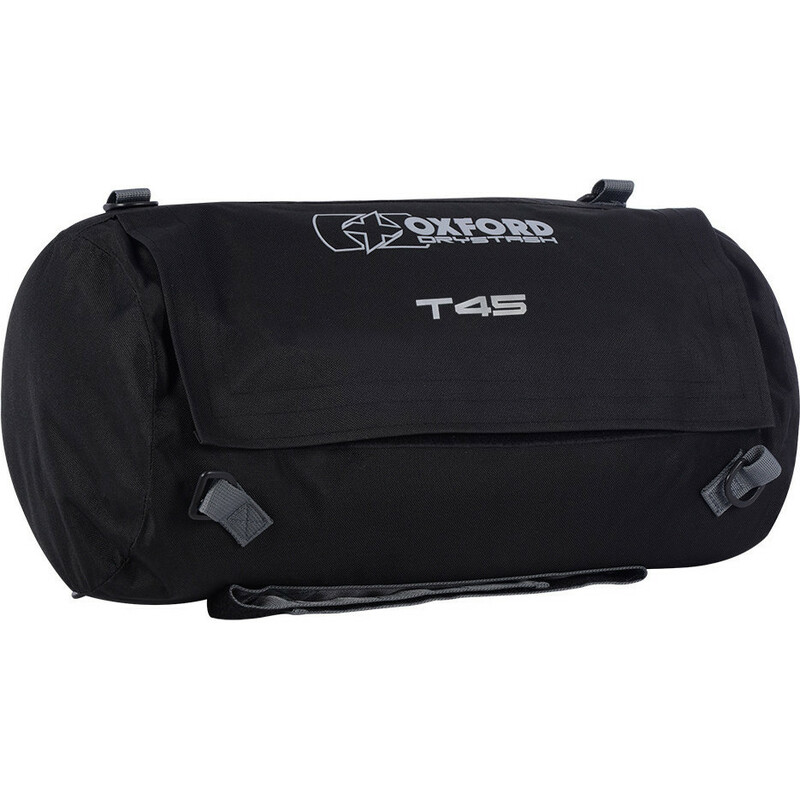 The Oxford DryStash T45 Waterproof Travel Bag 45L Black is part of the latest Oxford collection. The stylish DryStash waterproof travel bag is made from a durable 600D polyester. This tough duffle bag is the perfect riding companion for any trip. With its weatherproof closure system and fully taped seams, it's perfect for keeping your belongings safe and dry in any weather conditions. The padded shoulder strap makes carrying it comfortable and secure whilst the unique Oxford safety attachment system ensures the bag stays firmly attached to the bike whilst riding. View all Oxford Motorcycle Travel Bags. View all Motorcycle Travel Bags.